We hope you enjoy your visit and explore everything our real estate website has to offer. We can provide you with information about any property along the Emerald Coast. Below, you will find information for home buyers and sellers, and more About Us, your professional Realtors serving the World's Most Beautiful Beaches. Thank you for visiting today. Please do not hesitate to ask us anything. If this is your first visit, take your time and look around. We have plenty of information and resources available to you. If you are a return visitor, it's good to have you back. We would love to hear from you. LOOKING FOR BEACH PROPERTY AND A BEACH LIFESTYLE? At BeachWay Realty, we give you personalized and professional service. From our website, you can search for properties along the Emerald Coast. Whether you are a first time home buyer or a seasoned veteran real estate investor, we have all the experience and resources you need to find real estate on the Emerald Coast. We service all of the communities of Scenic Hwy 30A, Destin, Panama City Beach and Panama City. Are you looking for a particular area or type of property? Simply sign up to receive new listings and price reductions in the areas you like. Find out how much your home is worth and how we can develop a marketing plan for your property, which will help you get top dollar for your property. 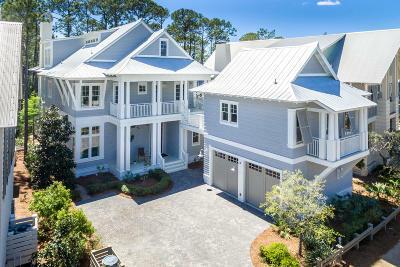 Call or email us for a personalized Property Valuation for your Emerald Coast property, including all of the communities along Scenic Hwy 30A: WaterColor, WaterSound, Seaside, Rosemary Beach, Alys Beach, Seacrest Beach, Inlet Beach, Grayton Beach, Destin, Panama Ctiy Beach and Panama City, FL.